Since 1983, the Women’s National Book Association has awarded one of the most prestigious honors in children’s bookselling. Given annually at BookExpo America’s Children’s Book and Author Breakfast, the WNBA Pannell Award recognizes bookstores that enhance their communities by bringing exceptional creativity to foster a love of reading in their young patrons. The nominated store puts together an electronic submission with a description of activities, goals, or any contribution to the local community that involves young people and books. Photos, media coverage, letters from customers, or anything else that transmits the degree of contribution can be included in the submission by March 31, 2013. The jurors will make their decision by late April, and a phone call will notify the winners, as well as all stores sending submissions. Each of the two winners will receive a $1,000 check and a framed signed original piece of art by a children’s illustrator. The presentation of the award will be in New York at the BEA/ABA Children’s Book and Author Breakfast, which draws more than 1,000 attendees. Along with WNBA, Penguin Young Readers Group co-sponsors the award. 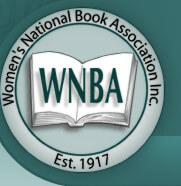 Founded in 1917, WNBA is a national organization of women and men who promote the value to the written word by championing the role of women in the book community and by providing a forum for the exchange of ideas and information relating to the written word. Vroman’s! They would get my vote.